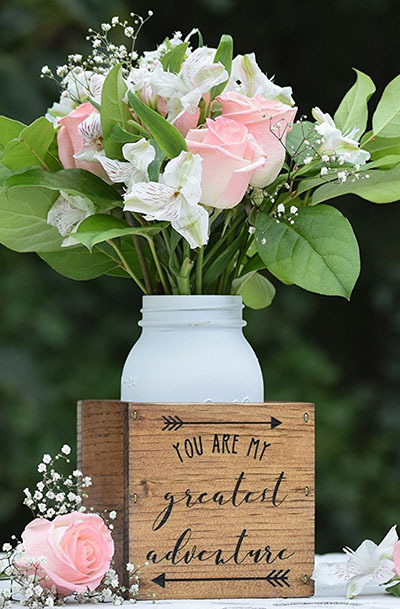 ~ You Are My Greatest Adventure ~ This adorable wooden flower vase is made from pine and measures 5" x 5" x 5". It features custom engraving of your choice or it will come standard as shown. Additional designs, fonts, and stain finishes are available. Custom sizing is available. Mason Jar shown can be an added option.